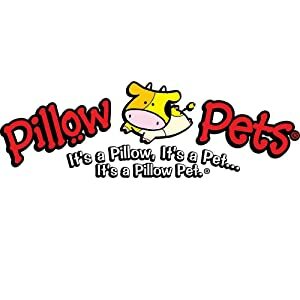 Pillow Pets has brought a sweet and delicious scent to our wonderful plush friends. Popular scents from blueberry to cotton candy and everything in between. There is a scent and a pillow pet for anyone. Your kids won’t want to put their scented Pillow Pet down. 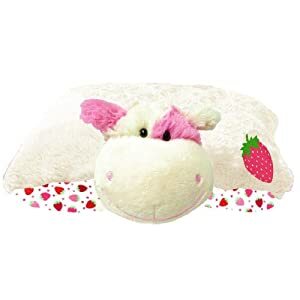 Whether it is reading time, TV time, imaginative play or time for bed they will want their sweet scented pillow pet by their side. A bedtime solution that will have your kids excited to go to bed so they can sleep on their super soft pet that opens to become their pillow. Starts out as your pal, then un-velcro its belly, and it magically becomes your pillow! 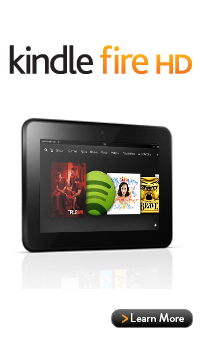 Opens to a 16-inch pillow. A super-soft chenille plush stuffed animal so cuddly you’ll never want to put it down. Made of high-quality washable chenille. BPA and phthalates free. 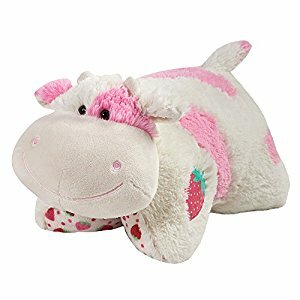 The Pillow Pets Sweet Scented Pets – Strawberry Milkshake Cow smells like a just-blended-with-fresh-strawberries milkshake! ready to indulge in all its juicy goodness. The red and pink strawberry-patterned fabric on the bottom make this a charming gift for any occasion! 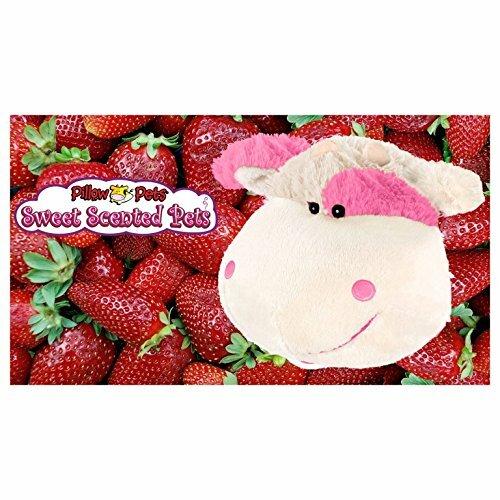 The Sweet Scented Pillow Pets deliver the smell of yummy sweet treats in a plush you can hug. 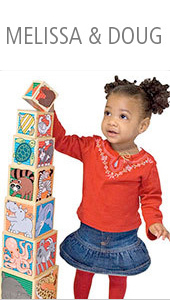 This adorably delicious folding plush will provide a touch of fun room décor along with the practicality of everyday use as both a toy for imaginative play and a pillow for television, bed, or travel time. The Sweet Scented Pets – Strawberry Milkshake Cow is anything but just another toddler pillow. Starts out as your pal, then un-fasten its belly, and it magically becomes your pillow! 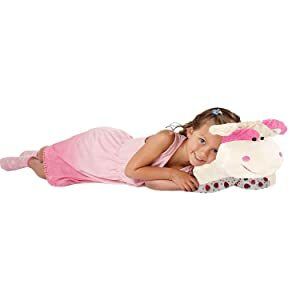 A bedtime solution that will have your kids running to their room with their new pet for a good night’s rest on their new sweet-scented favorite pillow. 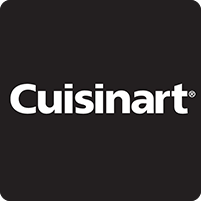 The scents are created in the United States and are made from sustainably harvested trees or cotton. Each scent has certification from the International Fragrance Association and complies with USA & EU Toy regulations including stuffed animals. Made of high-quality washable chenille. BPA free and phthalates free. 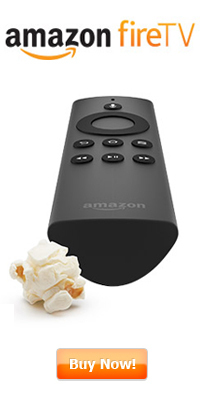 Opens to a 16-inch pillow. As with all decorative pillows, not recommended for children under the age of 3.